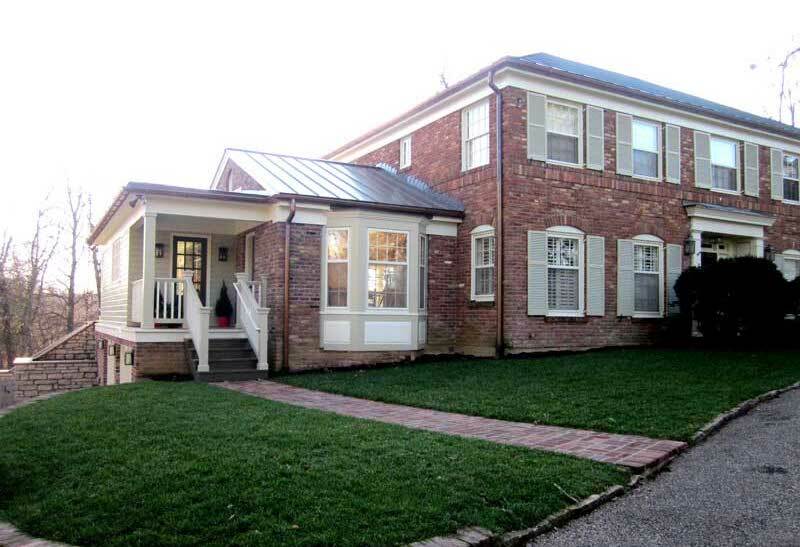 This federal style home needed an injection of “young, fun and modern” for its new homeowners. Walls boxed in the living spaces and a cramped kitchen added to the closed in feeling. In the original kitchen, the only view to the beautiful back yard was through a small back door. The owners wanted to let in a lot of light from the south side of the home to brighten the living spaces. 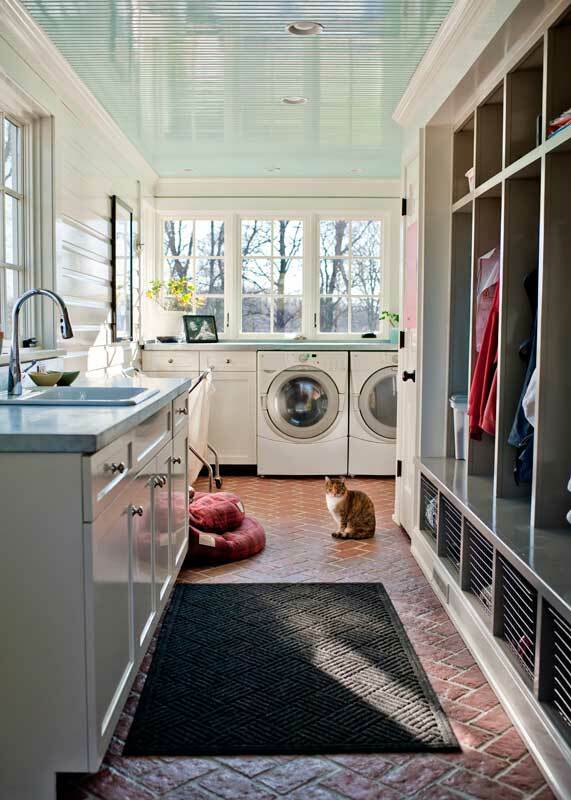 More functionality was also needed in the master bath, laundry room, back porch and other areas. Emily Fisher of Rock Paper Hammer created a stylish and functional design and worked with Don Erickson at The Door Store and Windows to specify the new windows and doors needed for the project. 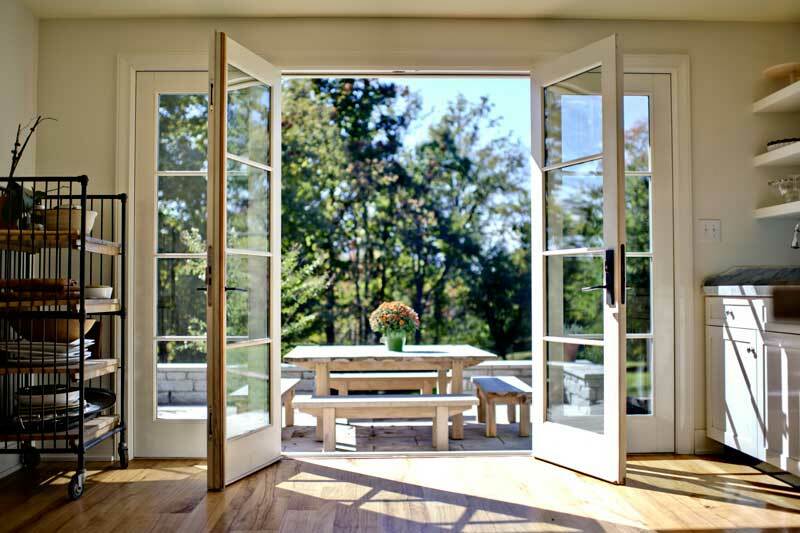 A four-wide Marvin Inswing French Door unit replaced the small back door. 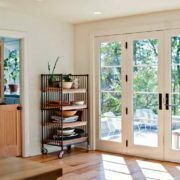 The homeowners originally wanted steel doors, but when they proved cost prohibitive, The Door Store and Windows was able to provide the 10′ wide Marvin unit to achieve the look everyone wanted within the budget. 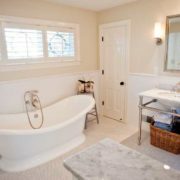 The master bedroom was in a prior addition that was not original to the home and the owner did not like the appearance of the inexpensive windows used in that addition. New Marvin Ultimate Double Hung windows were selected and provided the quality and appearance the homeowner desired. 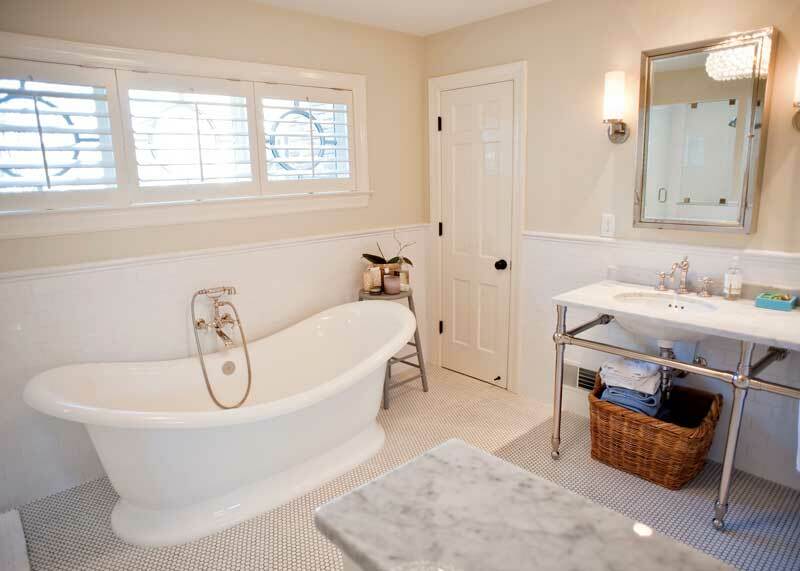 Marvin Awning windows with custom round grilles designed by Emily were added above the tub in the master bathroom – positioned high enough to address privacy concerns. 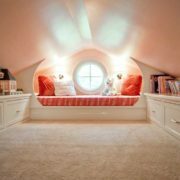 Custom round windows add light to the children’s attic area and replace triangular louvered gable vents. 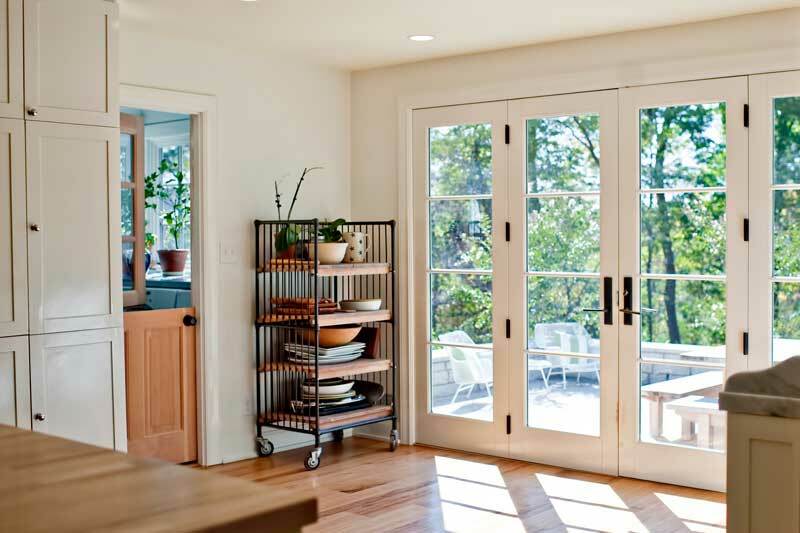 As the project morphed from a master bath and kitchen remodel to a larger and more complex renovation project, Don continually worked with Emily to ensure all window and french door grills were appropriately sized and aligned throughout the home. 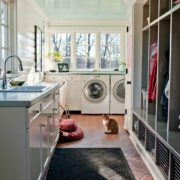 In addition, the homeowners retained many of the home’s original wood divided-lite windows and they requested the new windows to be wood exterior as well so that they would have flexibility in changing exterior colors in the future.